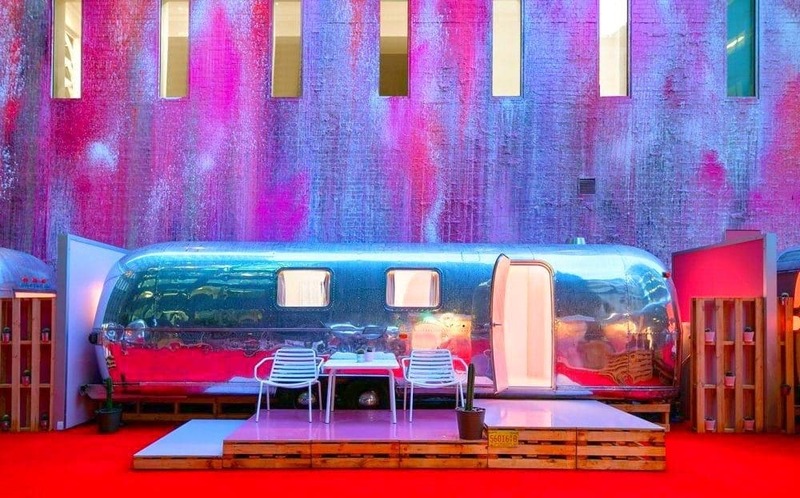 If a collection of six luxury 1970s chrome Airstream caravans sitting high up in the city centre (in the Central Business District) sounds like your kind of thing, then this is the perfect quirky Melbourne accommodation for you. 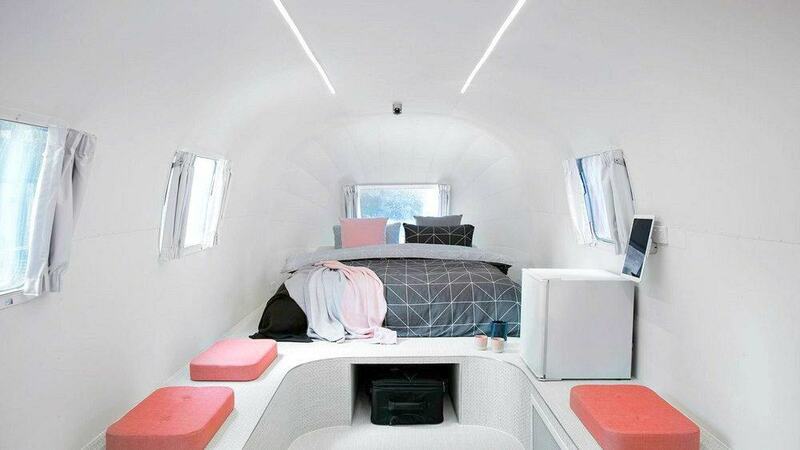 With spacious interiors offering clean, curved lines and a calming retro aesthetic, these hip caravans are anything less than ordinary – and they also reside on a rooftop! 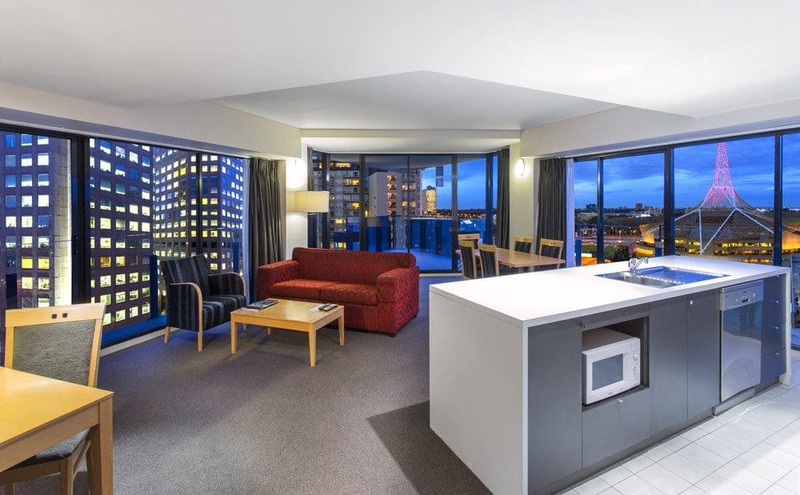 The exceptionally rated Notel Melbourne(not a hotel get it?) is the brainchild of James Fry, who owns the car park below, this initially crazy-sounding idea actually works pretty well. 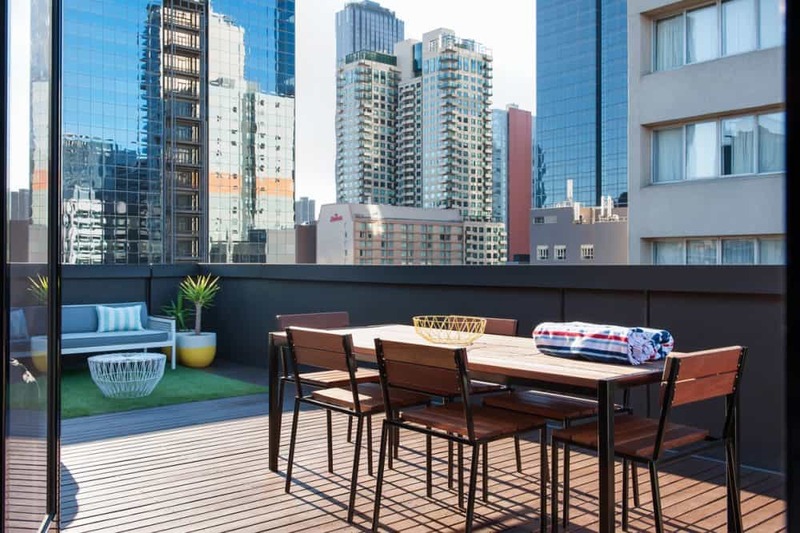 Visitors get cosy, air-conditioned luxury living spaces with private furniture adorned decks, en-suite bathrooms, iPads, WiFi, complimentary minibars views over the city streets below and the chance to be slap bang in the heart of Australia’s most popular city. 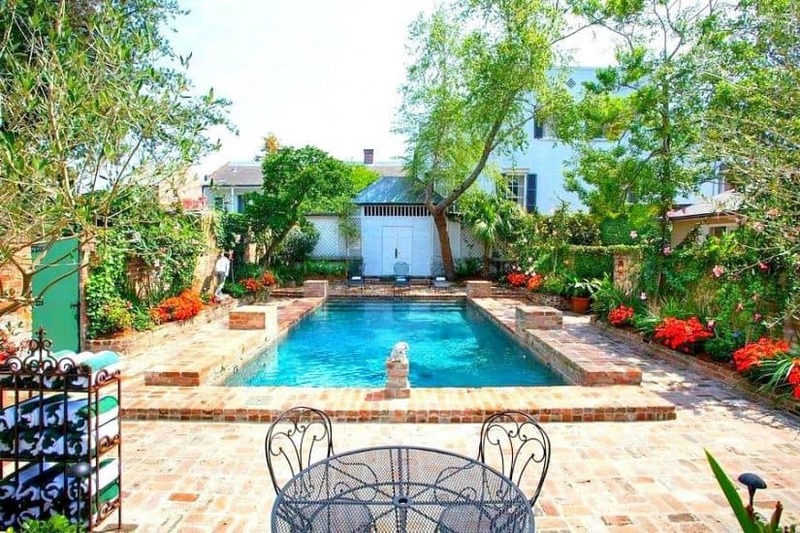 Opt for an upgrade and add an outdoor hot tub too. Airstreams with a difference await at this urban trendsetting Melbourne abode! Prices from $395 per night. The exceptionally rated 4-star Coppersmith Hotel is a traditional style hotel with a warm and familiar feeling atmosphere. Offering Australian hospitality at its finest, visitors can find respite from the busy city streets in the trendy Melbourne hotel’s smart and trendy bar that serves craft beer and premium Australian wines, the wood-panelled bistro offering seasonal offerings from the surrounding areas or the wonderful rooftop terrace which offers superb views of the city. The bedrooms are calm and peaceful and resplendent with muted tones, designer furniture and soft comfortable beds. 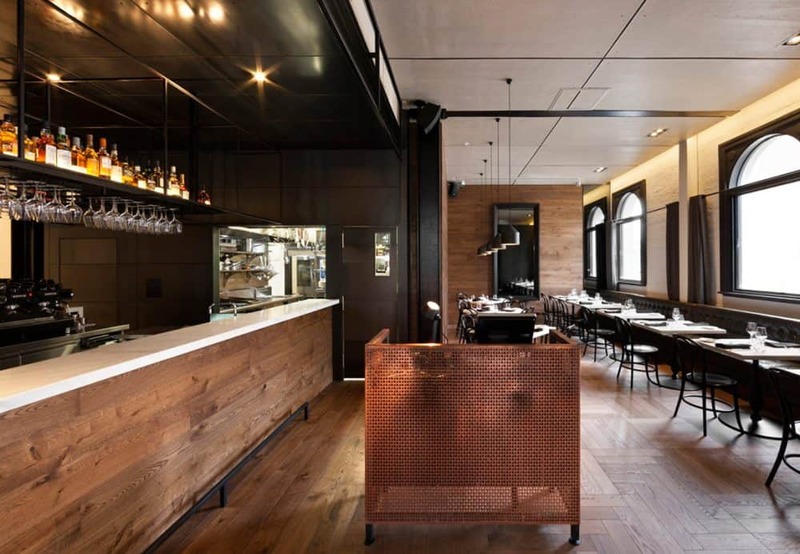 Within walking distance of Albert Park, the centrally located Coppersmith is just a tram ride along Clarendon Street to visit the city’s biggest attractions. 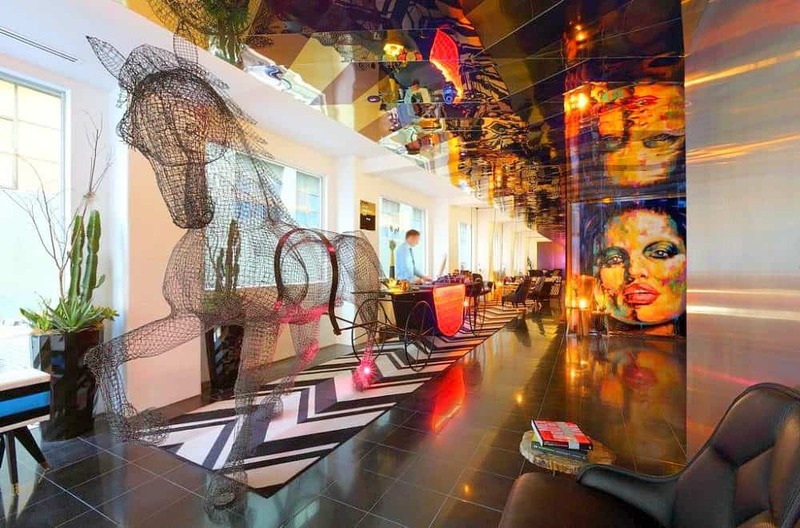 One of the hippest hotels in the city (and with the competition in Melbourne that’s really saying something! 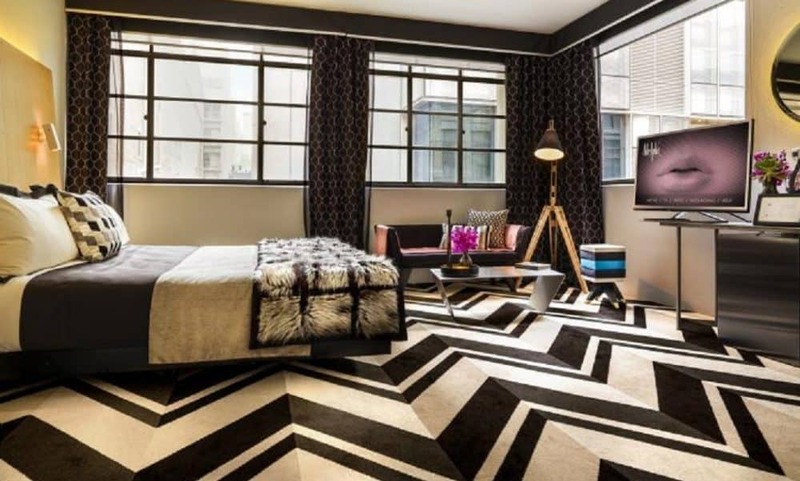 ), the 4-star exceptionally rated QT Hotel takes inspiration from the fashion trade that once dominated the Flinders Street area. Featuring neon sculptures, talking lifts and video wall art, this trendy Melbourne hotel is quite unlike any other. 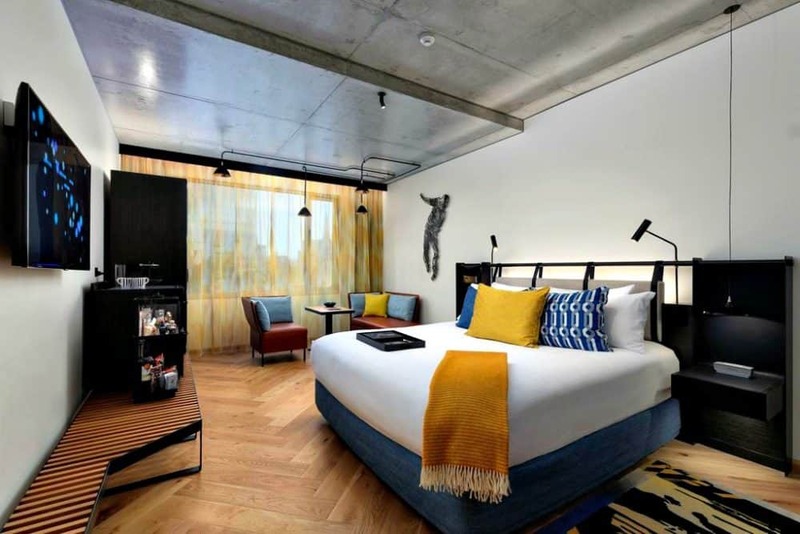 Bedrooms offering industrial concrete ceilings, wallpaper-lined wardrobes, graffiti rugs and gel beds to add to the hotels quirky design style, and even the minibar comes fully stacked with the artisanal snacks and craft beer. Opt for an upgrade and you’ll find free-standing tubs and superb city views. The relaxed lobby cafe, The Cake Shop serves snacks and coffee, while the Pascale Bar & Grill is a competent modern bistro. 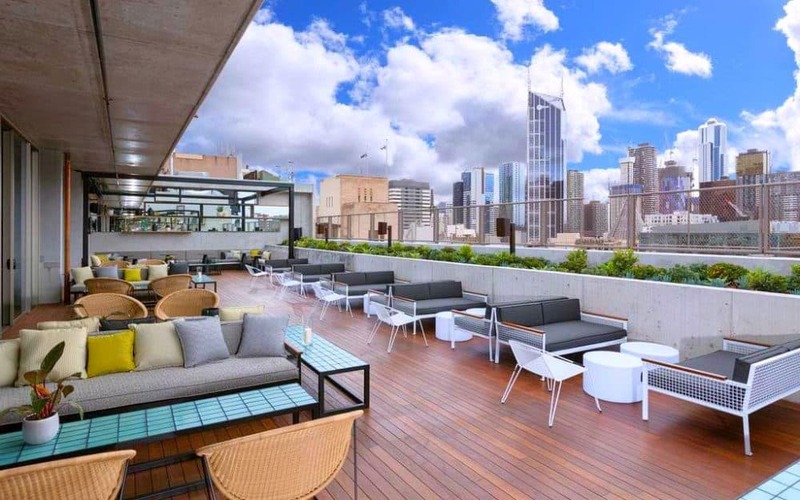 Locals and visitors alike both enjoy spending time in the very cool Rooftop Bar with views over the city, as well as the Hot Sauce Asian Bar – just wonderful! The original and still quite possibly the best, the 4-star exceptionally rated Adelphi Hotel was the city’s first design hotel and is still a major contender. Famous for its desert themes, you can find bowls of sweets scattered throughout the Art Deco style interiors, and the Om Nom restaurant is fully geared up to cater for even the sweetest tooth. 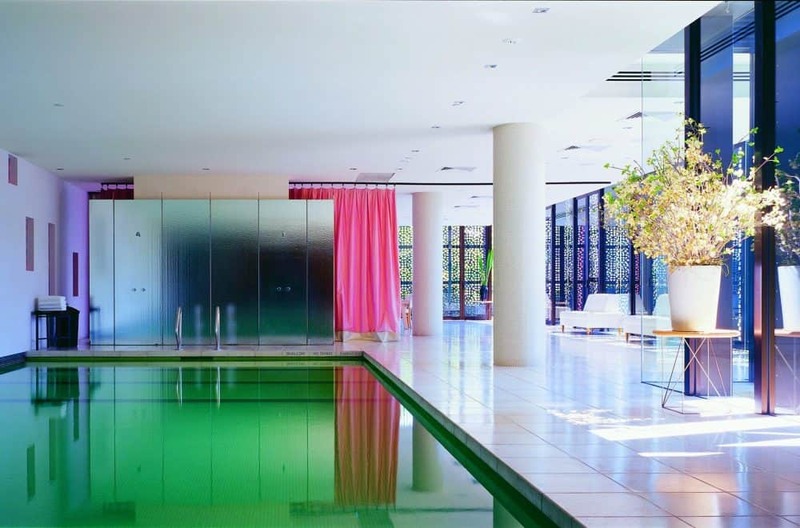 Beyond the sugary gimmick, the very cool Melbourne hotel offers stunning conceptual design throughout, including a horse and carriage sculpture that doubles as a reception desk, a cantilevered swimming pool, industrial bathrooms and a fabulous rooftop pool and deck. The swish bedrooms are once again designed for sweetie lovers and the mini-bar offers a refreshing range of non-alcoholic drinks instead of the usual overpriced booze. 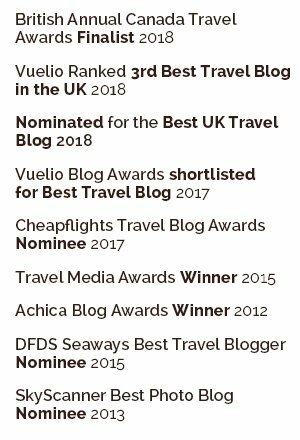 Fun and fabulously designed the Adelphi is a great choice for travellers who can’t abide sterile chain hotels but still love a bit of luxury! 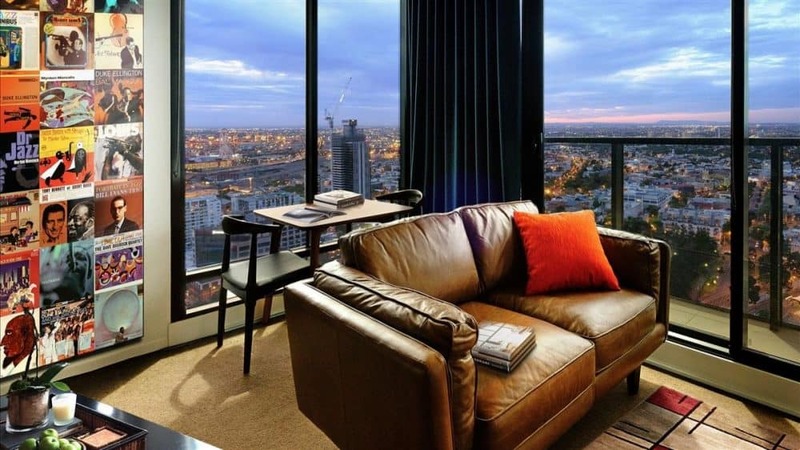 If you really like jazz, then you will really like this hip Melbourne hotel. Situated opposite Flagstaff Gardens, the 4-star exceptionally rated Jazz Corner is within easy walking distance of the very best of the city including fabulous shopping, vibrant nightlife and the world-class live music venue, Bird’s Basement. Designed to attract finger-snapping, cool cats looking for a comfortable place to crash, the stylish interiors are funky and bright, and unsurprisingly, full of jazz-themed decorations including record covers, instruments and posters. Guests can eat at the Jazz Corner Cafe that serves great coffee and light dishes, or enjoy a pizza and a beer at the aptly named Beer, Wine and Calzone restaurant. 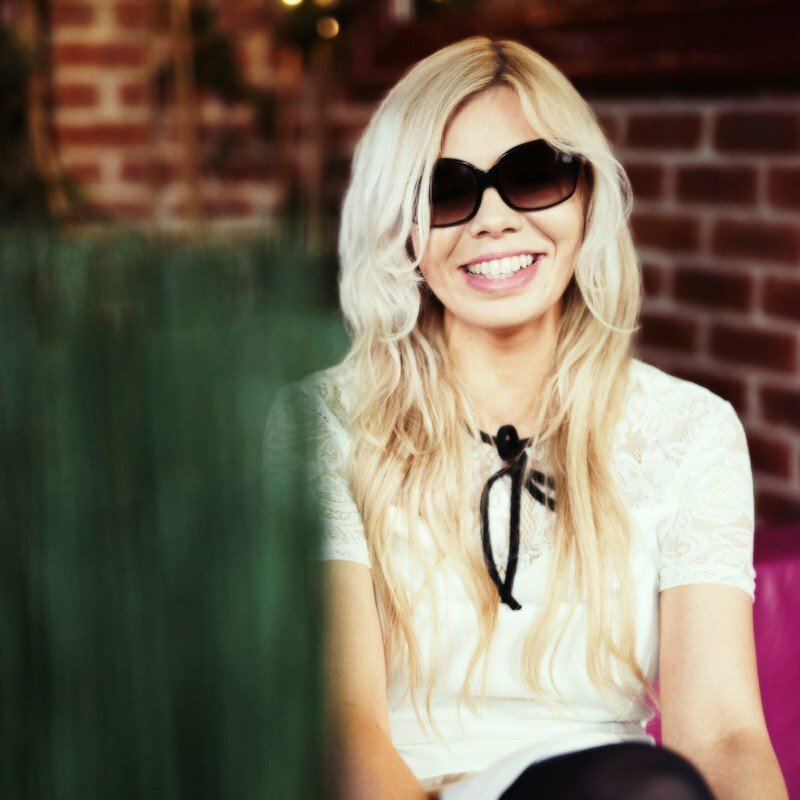 Live music is regularly played in the basement, and the hotel has a fresh, vibrant feeling that sets it apart from the cool, contemporary vibe offered by many of the hotels in Melbourne. Prices from $80 per night. The 4-star exceptionally rated Ovolo Laneways occupies a super central location in the city (a 5-minute walk from Parliament train station) complete with sleek and modern accommodation. Hip and trendy but never dull, the funky and unique Melbourne hotel features bespoke wall art inspired by the local laneways and the penthouse suites come complete with a rooftop Jacuzzi. 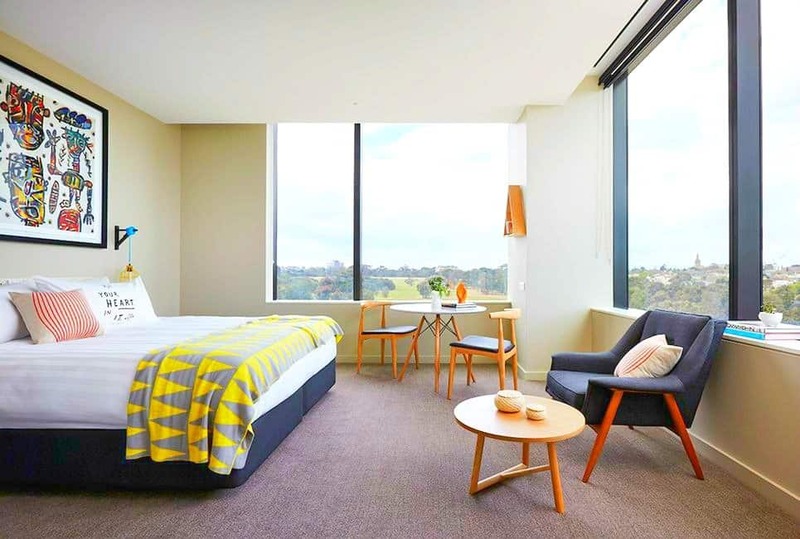 The guestrooms are vibrant and come with all mod cons and suites and premium suites come with quirky touches like jukeboxes, games consoles and punchbags complete with boxing gloves as well as whirlpool tubs and terraces with city views. There is no bar or restaurant onsite, but being located in the Laneways you are right on top of some of the best restaurants and nightlife the city has to offer. 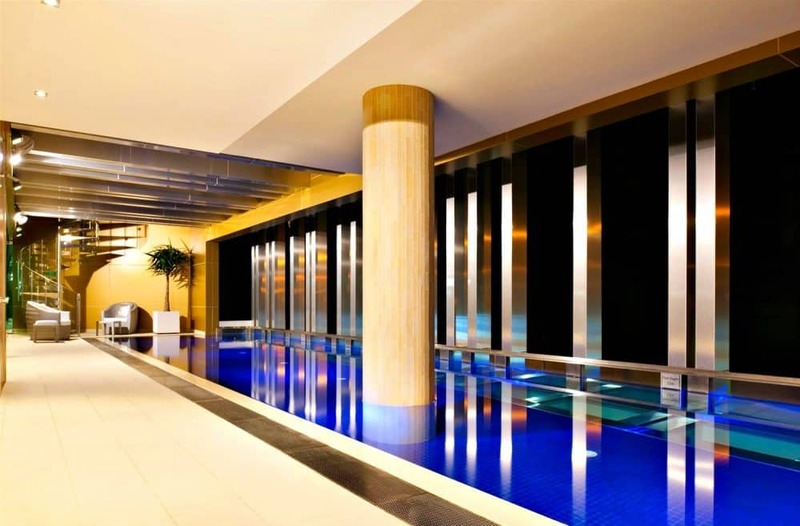 Located just two minutes from the vibrant Chapel Street, the 5-star exceptionally rated Cullen Hotel was the first of the acclaimed Art Series Hotel Group properties to be established in Melbourne. 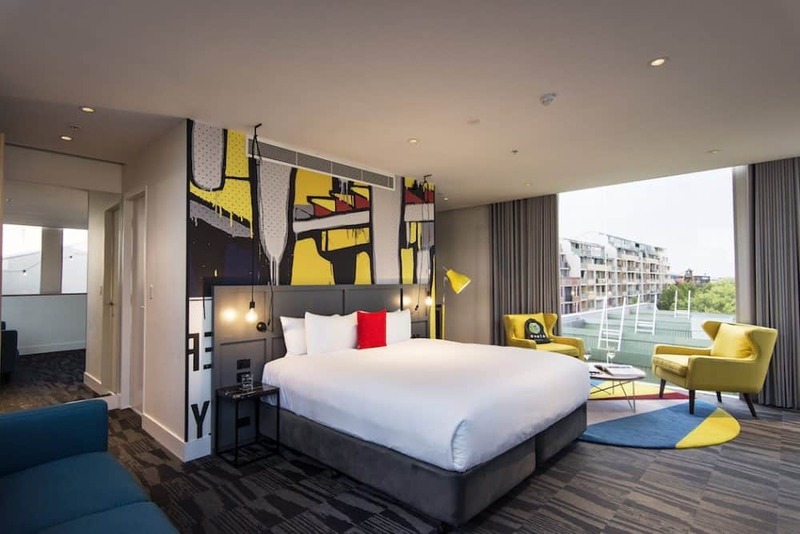 Bold, daring and visually inspiring and paying tribute to the Australian artist, Adam Cullen, this funky Melbourne hotel can be found in the hipster district of Prahran. 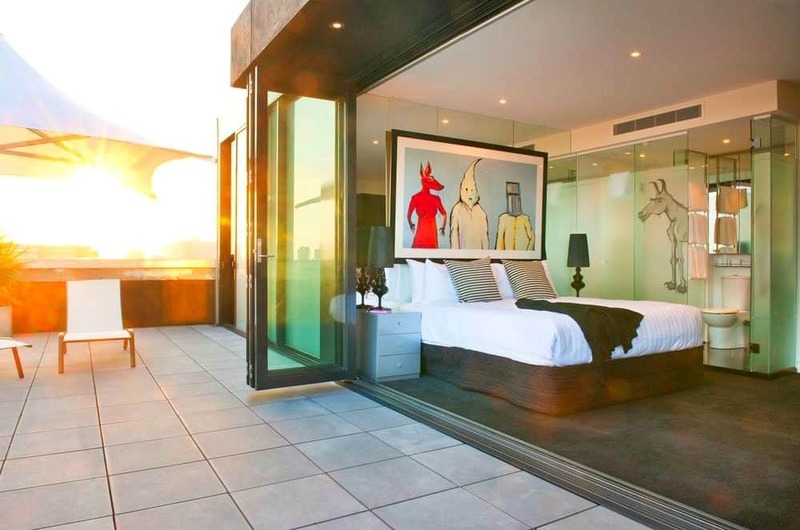 Bedrooms offer stunning views of the Melbourne skyline and are cool and chic featuring original paintings and prints from the late artist himself. The Gramercy Social serves up American style comfort food, while the HuTong Dumpling Bar is a Chinese restaurant with a twist. 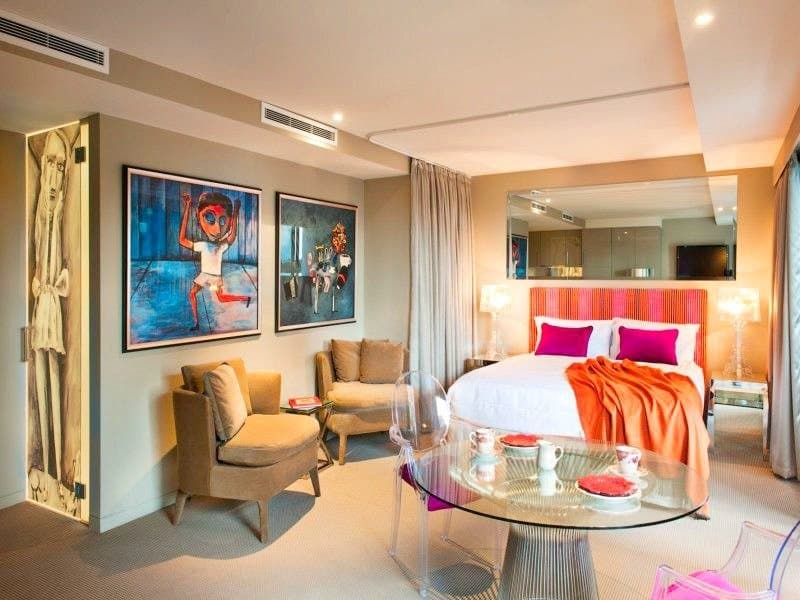 With a state of the art fitness room, a small spa, Smart Car hire and Lekker bicycle hire, the Cullen is an intriguing and beguiling city centre hotel. Prices from $90 per night. 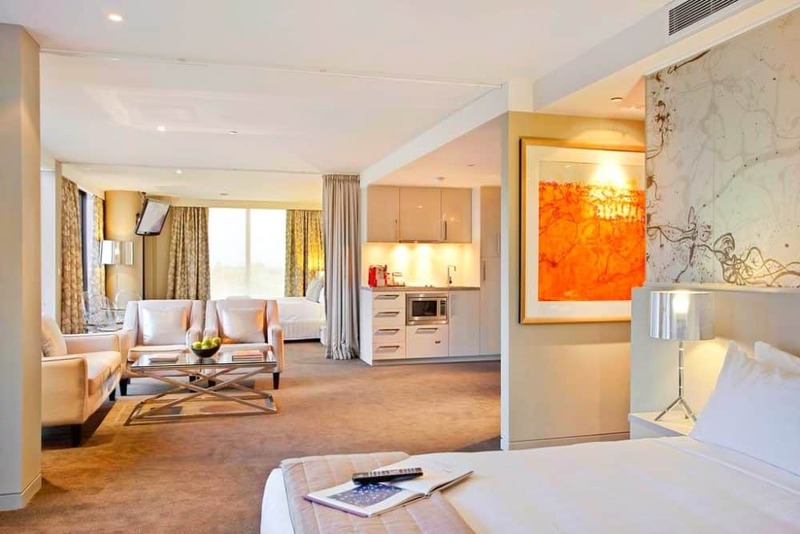 Situated in one of the most prestigious streets in Melbourne, Chapel Street, 5-star very highly rated all-suite Olsen Hotel offers sophisticated boutique hotel rooms that combine with the original work of painter Dr. John Olsen and architect Rothe Lowman. 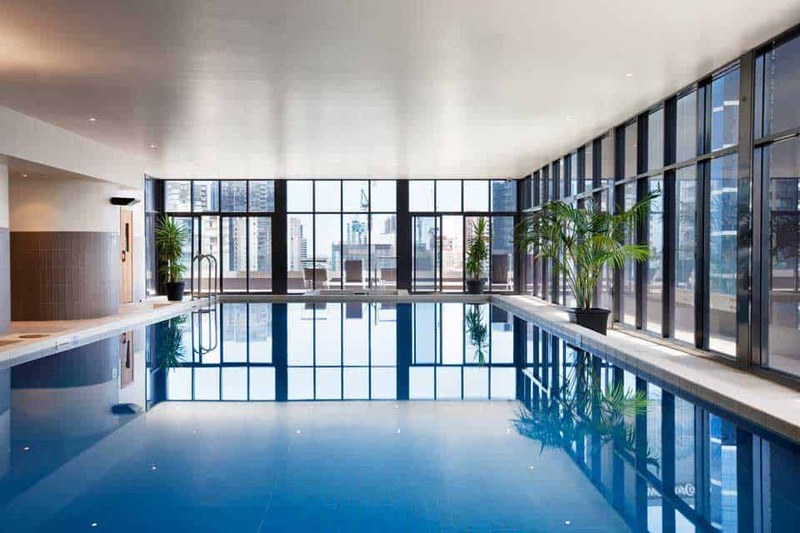 This high rise cool and contemporary Melbourne hotel is covered with opaque white glass that reflect the city, and features a courtyard with a breathtaking glass-bottom swimming pool. The contemporary upscale suites offer all mod cons including Wifi and iPod docks and upgraded suites feature hot tubs, balconies, terraces or full kitchens. This 15-story landmark is well known throughout the area, and guests can enjoy dining in any of the brilliant onsite restaurants, the chic spa or drinking coat beers at the bar, in this stunning building that so brilliant fuses original art with complete luxury! Prices from $95 per night. 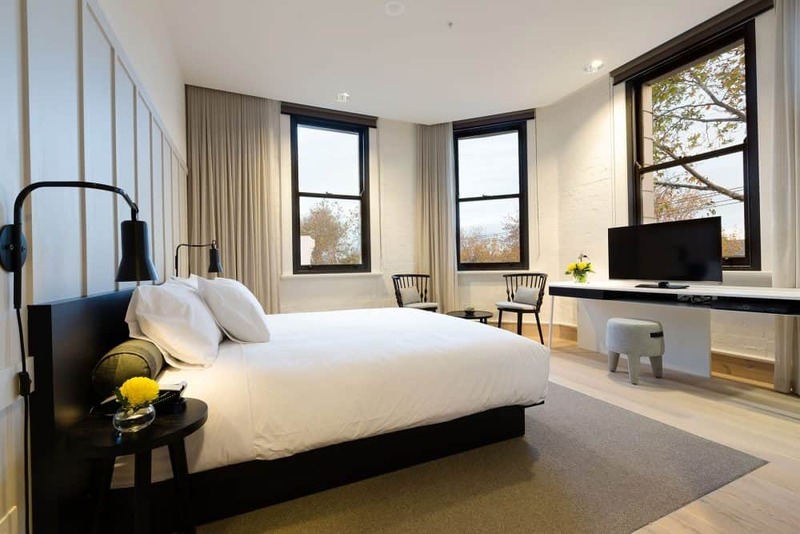 Located within Melbourne’s Central Business District, the 5-star exceptionally rated Blackman Hotel is a contemporary, boutique hotel on St Kilda Road. What was once the historic Airlie Mansion has been transformed into a chic destination that celebrates the work of Australian artist Charles Blackman. The swish bedrooms are open plan and spacious and fully decked out with designer furnishings and original works by the artist and some have divine bay views, while the communal spaces are designed to appeal to the urban visitor. The gorgeous rooftop penthouses offer open-plan sitting areas and even a butler service. The chic Melbourne hotel is also home to the French-inspired Fleur Depot Du Pain patisserie and the Classico restaurant serving traditional Italian fare. With a state of the art fitness room and the opportunity to hire customised Smart Cars, The Blackman is the perfect unique and contemporary base from which to explore the city of Melbourne. 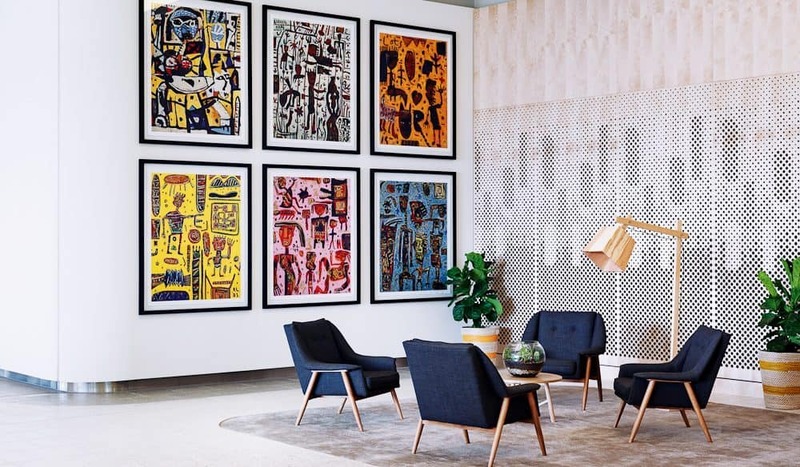 The 4-star much and exceptionally rated Larwill Studio is a mid-range this art-filled hotel property that features artwork from the late Australian artist David Larwill. 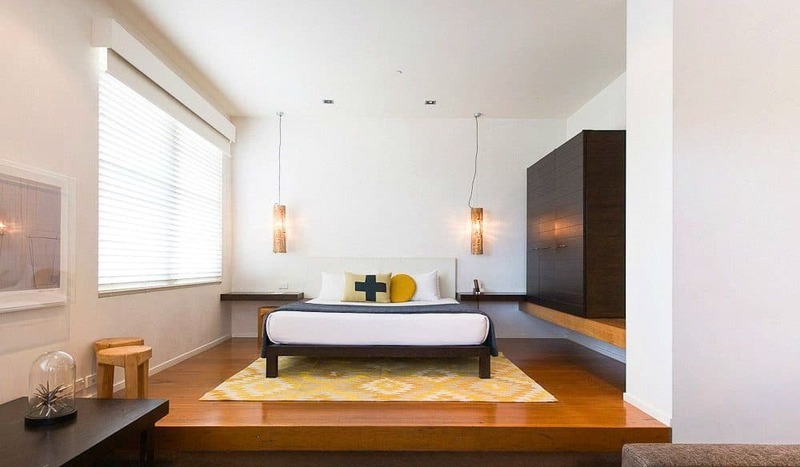 Another of the Art Group Hotels popular properties, the Larwill Studio offers polished, contemporary accommodation full of mid-century style touches. Backing onto the Royal Park, the Larwill is situated in a quiet spot, but is still a short walk to North Melbourne or the city centre. Bedrooms are bright, funky, stylish and spacious and the modernist furniture gives the hotel a Nordic vibe. There’s also some cute quirky features such as custom artwork and yoga mats. In the hotel lobby you will find Smith & Singleton, a casual, all-day eatery and bar with industrial decor and an open kitchen, while the in-room minibars offer health-conscious snacks like cacao and goji berry snack bars. Hip and happening, the Lawrill Studio is a quiet and trendy retreat from the city. 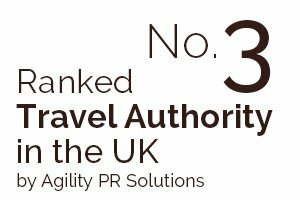 With a chilled out vibe and glorious seaside setting, the 4-star highly rated The Prince Hotel offers urban chic for a city by the sea. The hotel’s Art Deco facade belies its cool, contemporary Nordic interior where handmade oak chairs, brass pendants and concrete coffee tables come as standard. 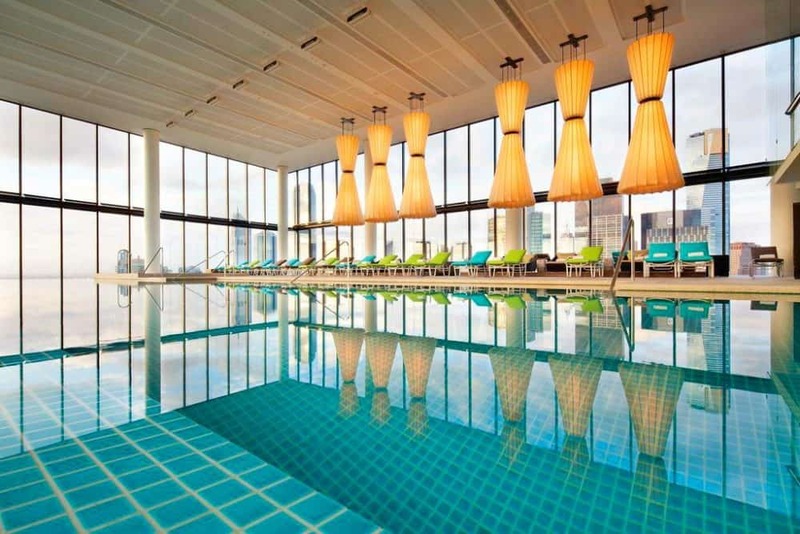 Achingly hip, the trendy Melbourne hotel appeals to holidaymakers looking to experience the best of city living and beach culture, and offer views over the Port Phillip Bay. The Cantina Restaurant offers Texas-style cuisine, while the Pow Kitchen serves up Asian inspired dishes for a stylish clientele. 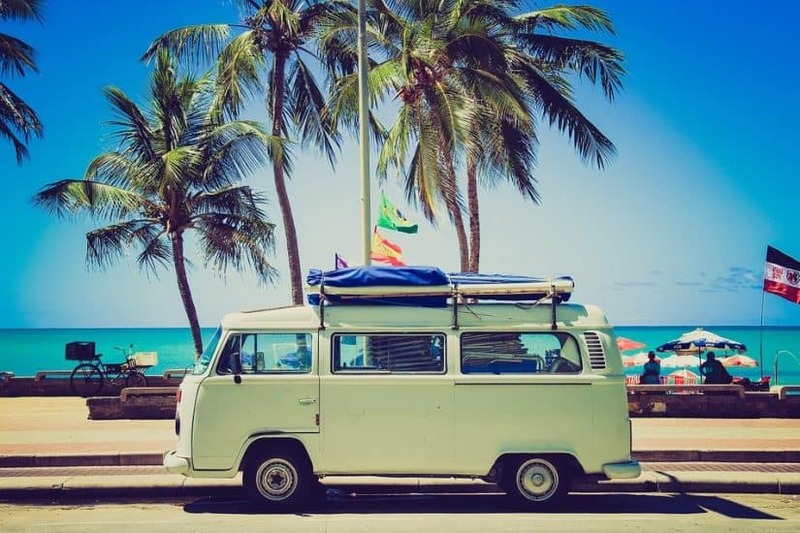 The Prince is just a five-minute walk to the beach, and is nestled nicely in the bohemian enclave St Kilda – a great choice for hipster beach lovers! 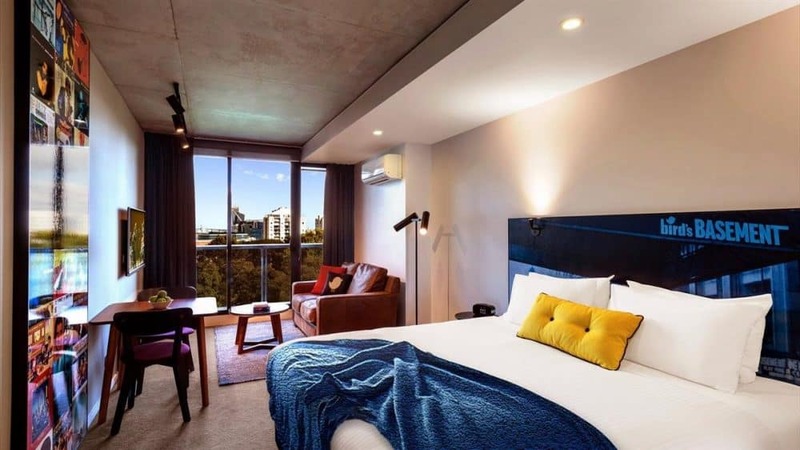 Situated in the busy business district of Southbank, this stylish high-rise hotel offers design-conscious rooms and plenty of comforts. 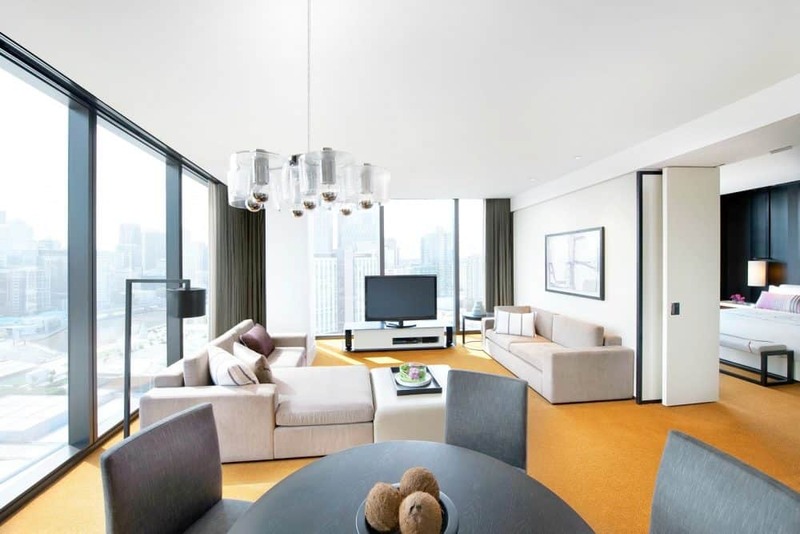 Connected to Crown Casino’s shopping, eating, nightlife, cinemas and gambling floors, the 5-star exceptionally rated Crown Metropol has plenty going on right outside its front door. The high ceiling lobby with feature spiral staircase sets the tone for the accommodation on offer, and the room’s clever lighting and dark colours enhance the hotel’s glamorous atmosphere. Upgraded lofts/suites have separate living/dining areas, soaking tubs and floor-to-ceiling windows offering divine city or Port Phillip Bay views. The fabulous pool area with towering glass windows make this one of the best pools in the city, and the sassy Melbourne hotel offers some of the city’s biggest and most popular eateries including Dinner by Heston Blumenthal’s, the Rockpool Bar & Grill and inventive cocktail restaurant, Maze. 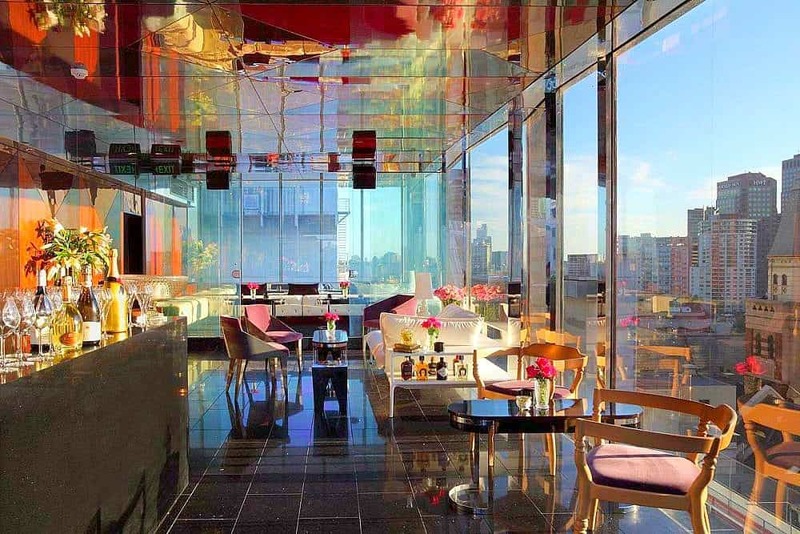 Other hotel highlights include a sleek city-view lounge, a spa and a 27th-floor indoor pool with superb skyline views. 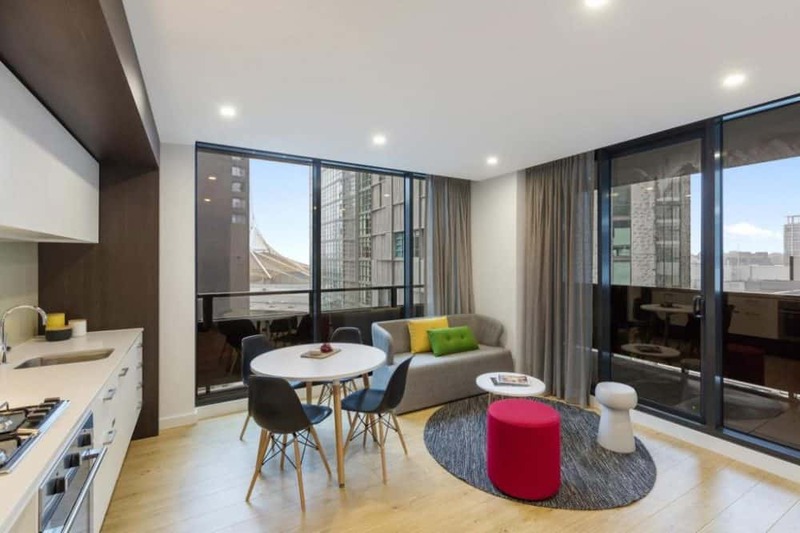 Located on Little Bourke in the Central Business District, the 4.5 star highly rated Mantra Southbank offers a selection of superb modern apartments and rooms close to the beating heart of the city. The serviced apartments are bright and spacious and beautifully dressed in a cool, contemporary style, and offer all the conveniences of hotel accommodation. 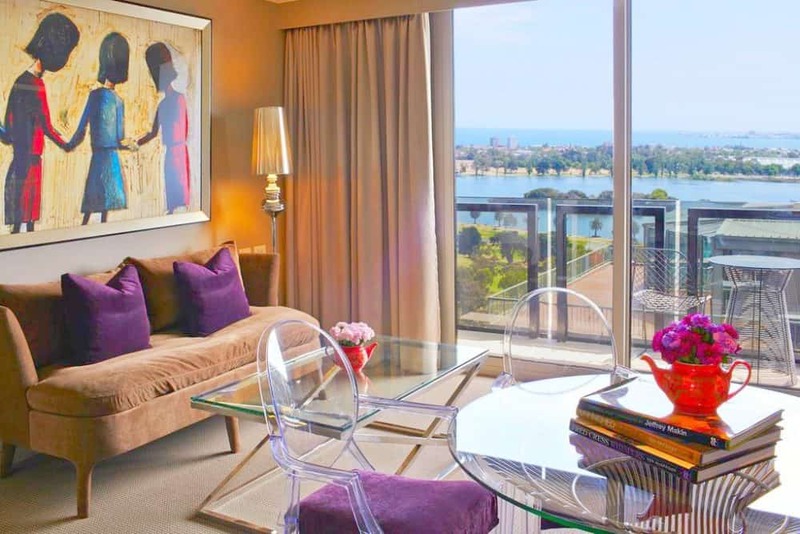 Boasting views over the city or across the Melbourne Botanical Gardens, some of the apartments also feature private balconies where you can take in the fresh air. The complex has its very own heated indoor pool and Spa facility and The Spire Restaurant serves simple, fresh Australian dishes. There is also a funky bar serving a wide range of cocktails and local beers and wines, proving that the Mantra Southbank really does offer five-star self-catering accommodation. 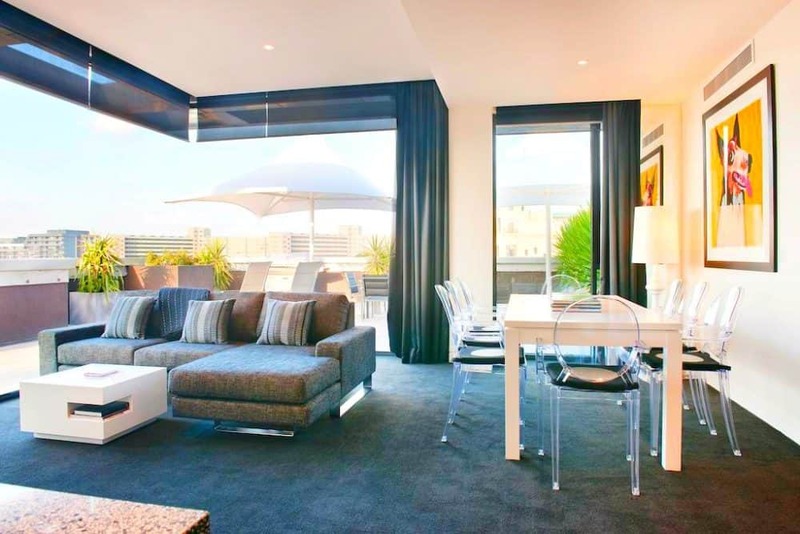 The exceptionally rated 4-star Oaks Wrap on Southbank offers modern clean and trendy apartment accommodation combined with well thought out amenities that are designed to suit the needs of every visitor. The chic hotel’s unusual facade has made it something of a local landmark, and being in the Central Business District it is perfect for anyone looking to go sightseeing or shopping in Melbourne. 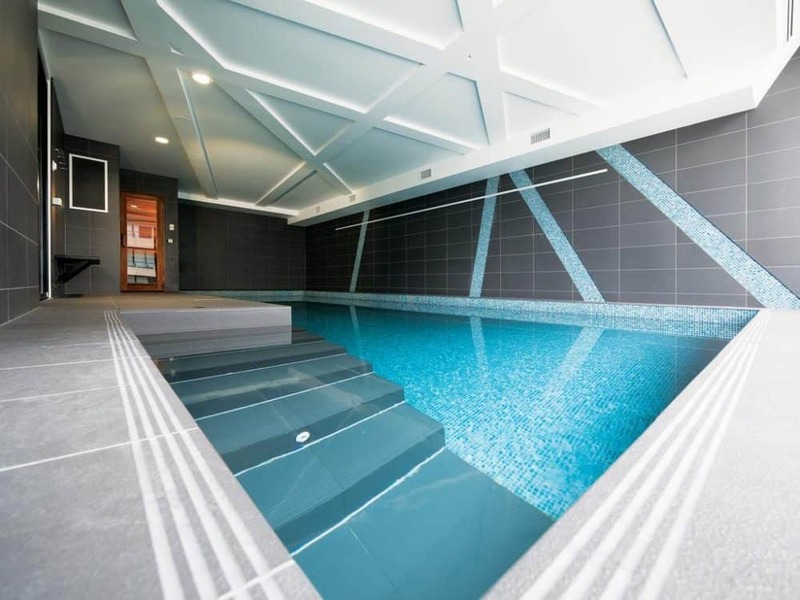 The cool apartments are modern, sleek and functional while the onsite leisure facilities include an indoor swimming pool, a sauna and a well-equipped gym. The Dee Casa bar and restaurant promise exotic, rustic chic and the food on offer is of a really high standard. You would probably never expect to find a camping ground in the middle of Melbourne, but lo and behold, here it is! 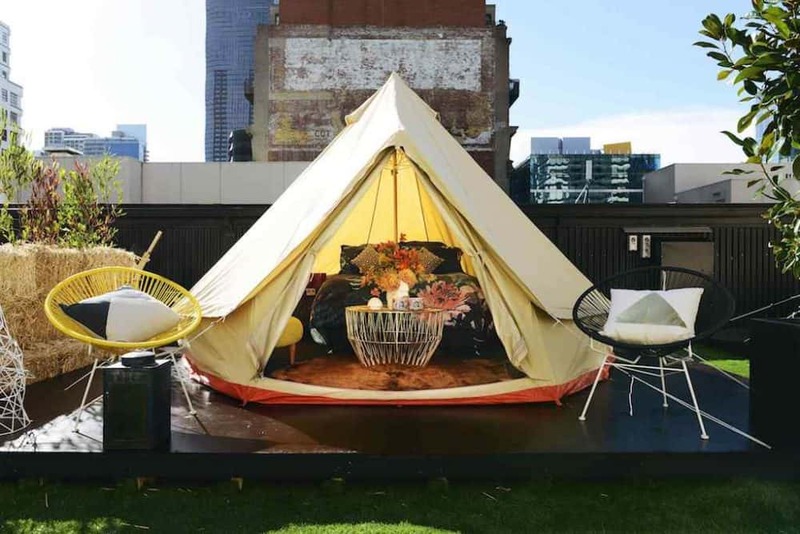 Stretching over a concrete roof lying just off of the Melbourne Central Mall, St Jerome’s offers luxury camping accommodation in specially designed Luxe Tents, complete with all the modern conveniences you would expect to find on any “Glamping” site. 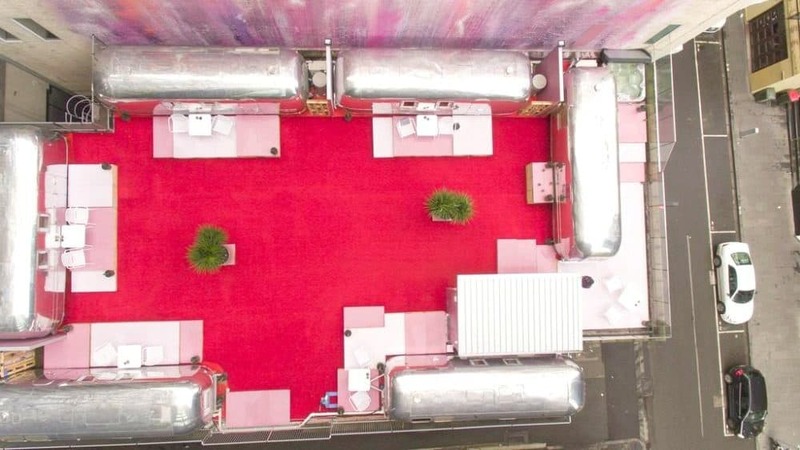 The rooftop has been astroturfed and is dotted with benches and potted plants, and there is even a small row of mobile bathrooms for your convenience. The General Store is a hut at the end of the row of tents that serves as a small cafe-bar. With impressive views over the historic Myer building, St. Jerome’s is quirky, fun and absolutely peak Melbourne. If you liked our collection of cool and unusual hotels in Melbourne, we also have hip hotels in Austin and trendy hotels in New Orleans. 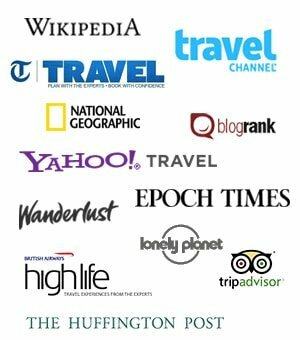 How to travel to Europe with a dog - a complete guide! Pictures are super cool. Hotels look awesome! What a great collection of cool hotels, they’re all so smart looking! Love those chrome Airstream trailers Becky. Feels like I am walking into an old skool diner in the US in some ways, that bright chrome shining, mirroring my image back to me. Authentic experience. 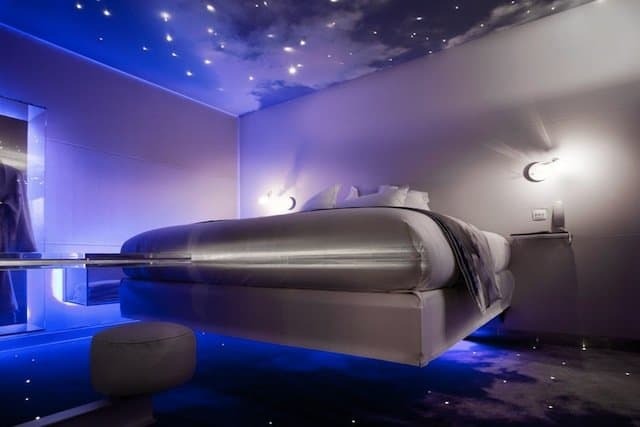 I always prefer the funky or quirky to traditional hotels. Spices things up. Makes things fun.